Step right up, step right up and see the amazing Skyline Park. 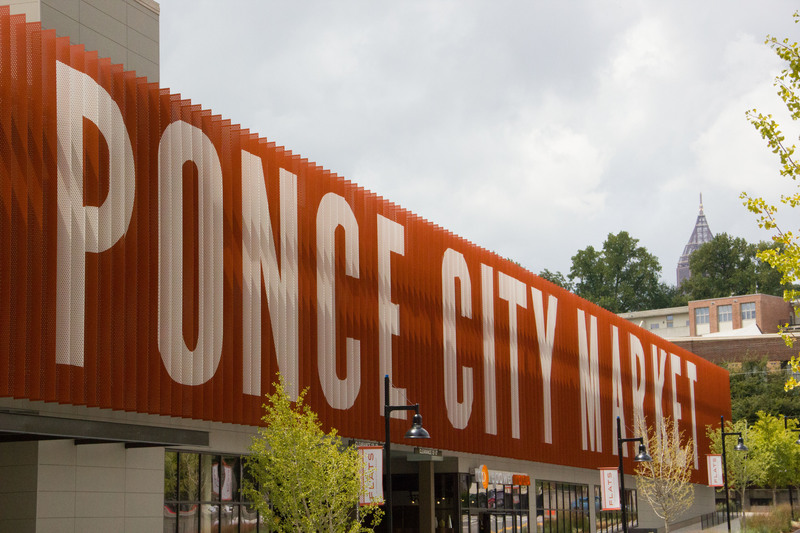 Whether you are an Atlanta native or just passing through the city looking for something to do, you may be surprised to know there is a full carnival paradise above Ponce City Market. Located in Old Fourth Ward, Skyline Park, also known as the “grandest view on Ponce” is equipped with old-time carnival games, mini-golf, and a ride that looks over the City of Atlanta. Despite the pricey stores below, Skyline Park is quite inexpensive; ideal for a college student looking for a cheap activity to do with friends. At only $10 for admission, you can say goodbye to $20 movie nights at the Regal in Atlantic Station. However, keep in mind admission does not cover games which range from $1 to $3, or mini golf. If you arrive before 4 p.m., mini golf is only $8. But, after 4 p.m. the price heightens to $10. Additionally, if you arrive 30 minutes before closing time, don’t expect to get in—admission will be closed. Skyline Park is not just for kids, either. If you are looking to take that pretty girl from your philosophy class out on a date, this is a quirky and romantic date she will love. A date at Skyline Park means lots of opportunities to laugh at each other’s horrendous mini golf skills and get to know each other while sharing a soft pretzel. The classic but modern park even has a bar featuring original drinks like the Skyline Mule and Ponce Park Cup to sip on while taking a break from all the attractions. Don’t worry if you are under 21—they have refreshing sodas too. When walking through the park, two attractions are for sure to bring out your inner child. The Heege Tower, a less-than-usual attraction, is an interactive race to the top for an unbelievable view of Atlanta. Riders (two at a time) will sit side by side and pull themselves up a middle rope. Especially on a clear night, this attraction will leave you in awe at the nighttime sparkle and lights of the city. Anyone who loved the slide on the playground as a kid will love the Skyline Slide. The classic stainless steel slide is fun for all ages (as long as you are above 3.7 feet.) But fair warning, be careful, it can get pretty hot in the summer under the scorching Georgia sun. Luckily, the workers do supply you with a cloth similar to a sleeping bag to slide down on. If you are an old-fashion guy or gal, the midway games will fill your 1950’s soul. Take a seat at the Derby Race game and compete with your friends to see who has the fastest (fake) horse. Then, play a game of ring toss or skee ball to test your aim. To end the night off right, grab a putter and hit the turf for a game of mini golf. If you are really looking to be romantic, tell your significant other you need help with your golf swing. This old trick always works; you’re welcome. Whether you are going to the park after a day of shopping at Ponce City Market or planning to stay the entire day for old-time carnival fun, Skyline Park is sure to impress. However, be sure to check the calendar on their website to ensure the park is open, as private events often delay their opening times. Make sure to work a day into Skyline Park into your summer bucket list, you won’t be disappointed.